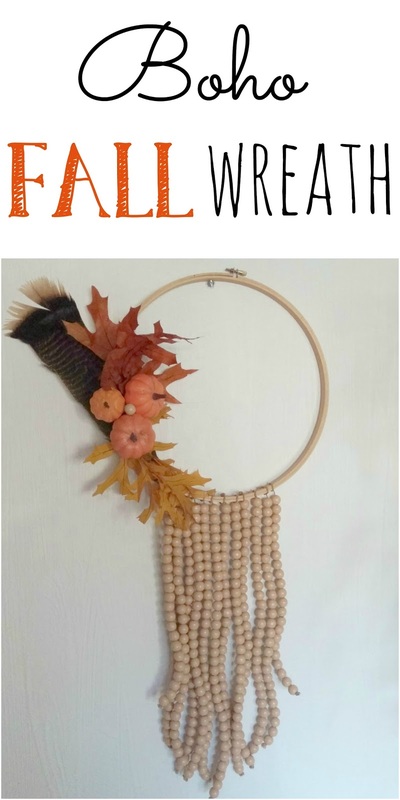 If you're as addicted to Pinterest as I am then you've most likely seen all of the cute wreaths made with embroidery hoops! 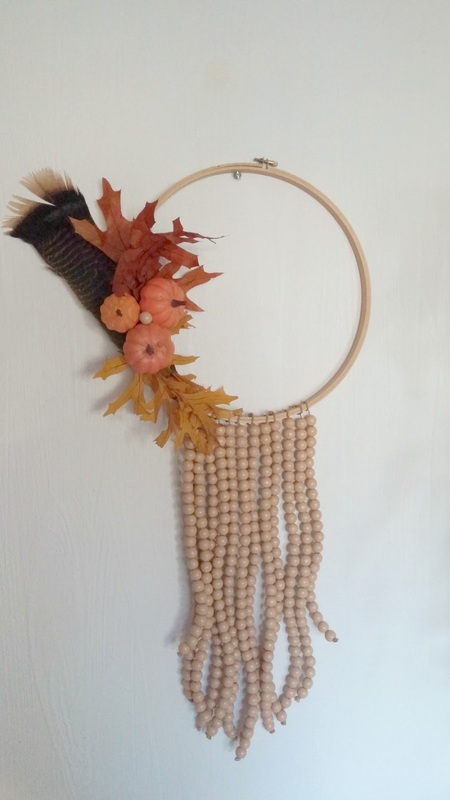 I love the simplicity of using the embroidery hoop and then embellishing it just a little bit... and I'm all about repurposing!! 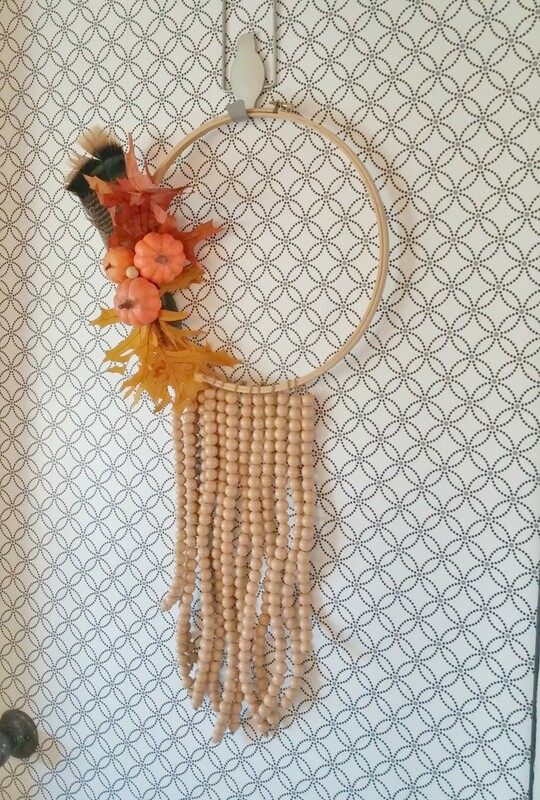 So, I decided to try making my own repurposed embroidery hoop wreath but with a boho spin! 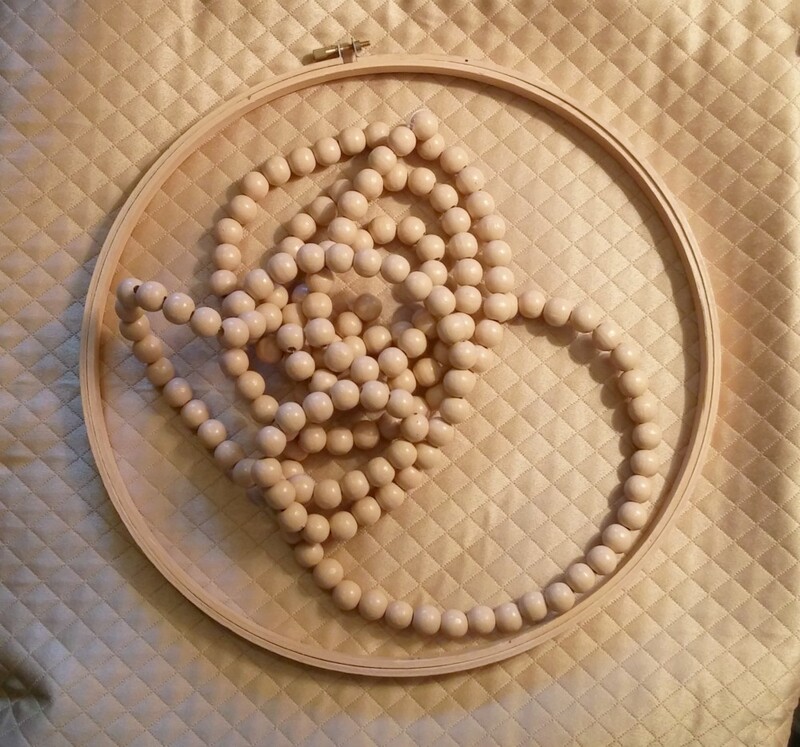 The embroidery hoop I chose is 12" in diameter. 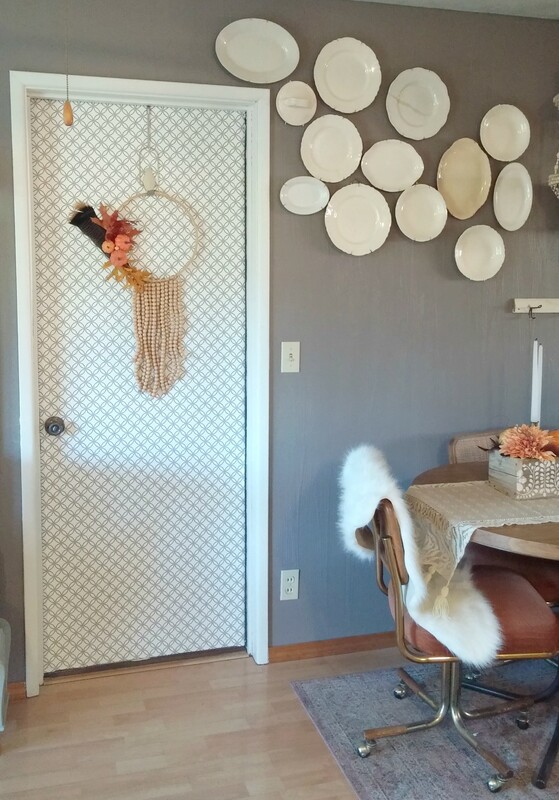 You could use larger or smaller depending on where you want to put it. 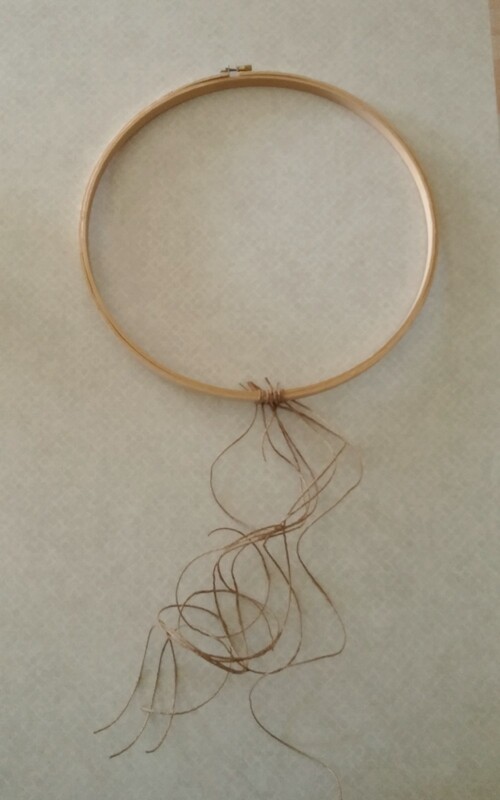 Begin by tightening up the hoop so it won't come apart and then start tying lengths of the twine along the bottom of the hoop. 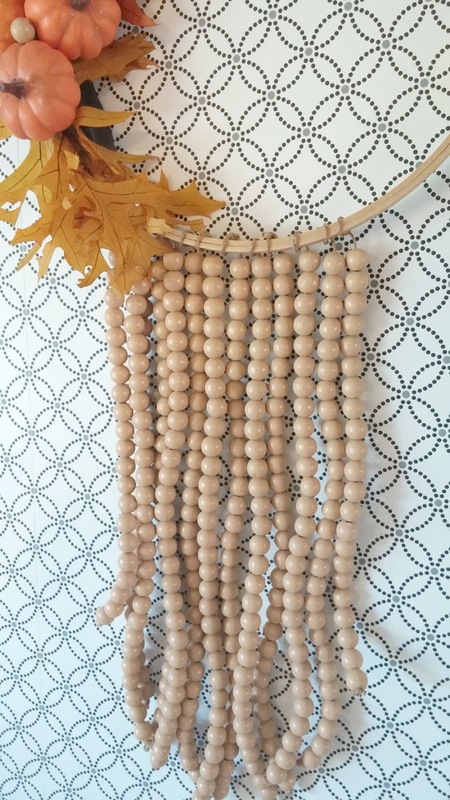 Make these as long as you think you want your beads to hang down. 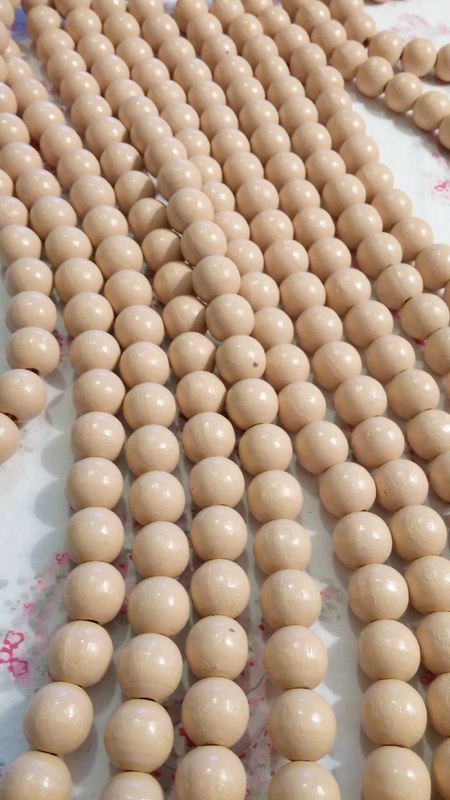 Then start adding the beads. 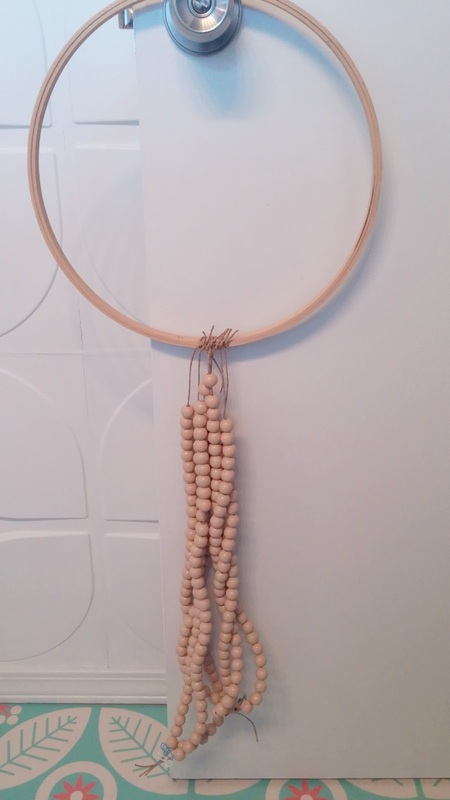 I put about 29 beads on the center lengths of twine and then I gradually made them shorter toward the outside by using one less bead on each of the outside lengths of twine.... so, 29 on the center two, 28 on the two on either side of those, then 27 on the next two, etc. 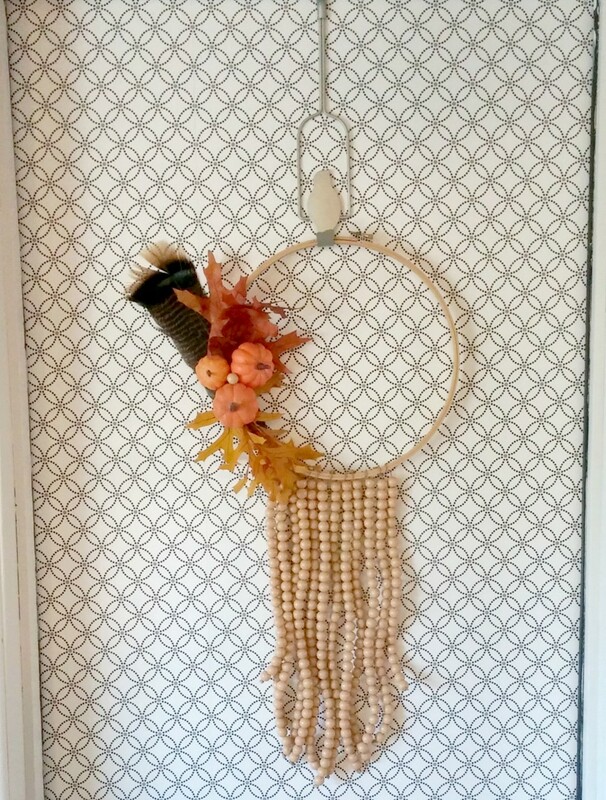 I found it easier to hang the hoop on a doorknob while I was stringing beads. 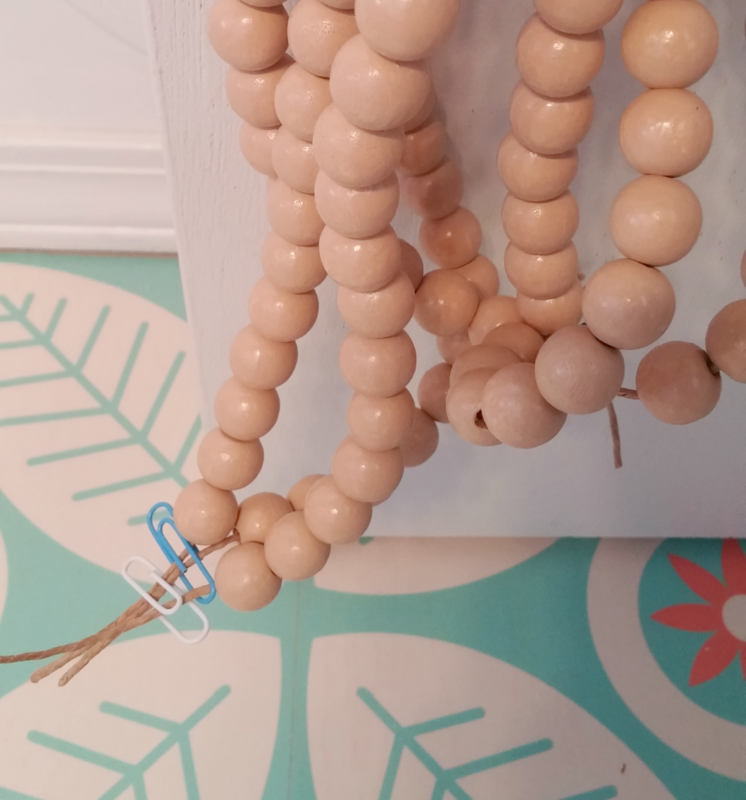 And I used paperclips on the ends to keep the beads from slipping off until I knew how many beads I wanted on each one. 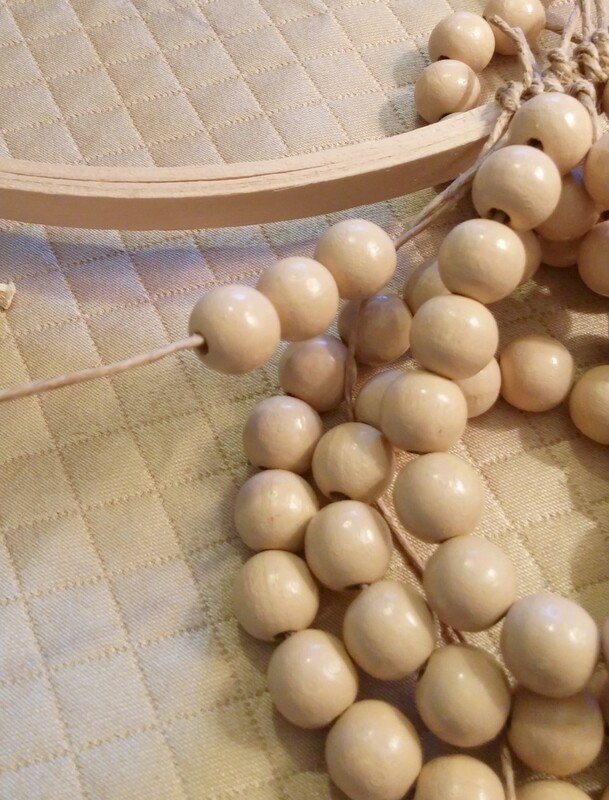 When you get ready to tie the ends, make sure you push the beads all the way up until they are touching the embroidery hoop so you aren't left with an uneven gap. 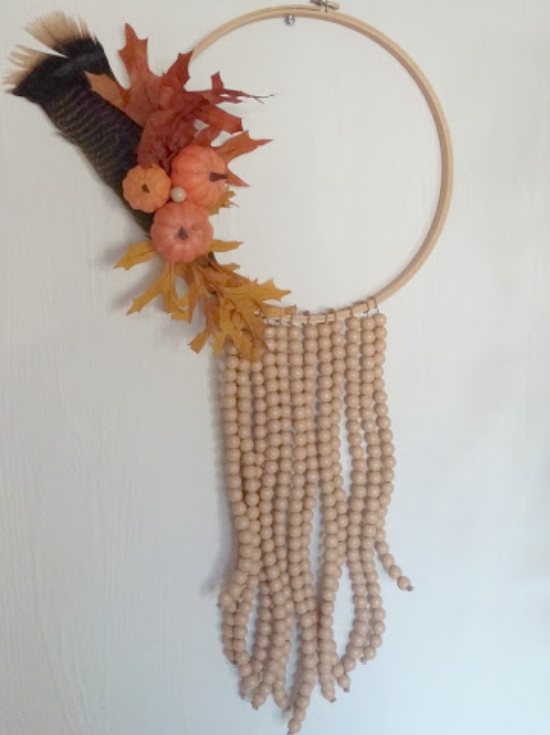 I used dabs of hot glue to keep the knots from coming undone on both the top and bottom knots (Tip: push the knots toward the back of the hoop so they won't show later). Then you can start adding the embellishments you chose. 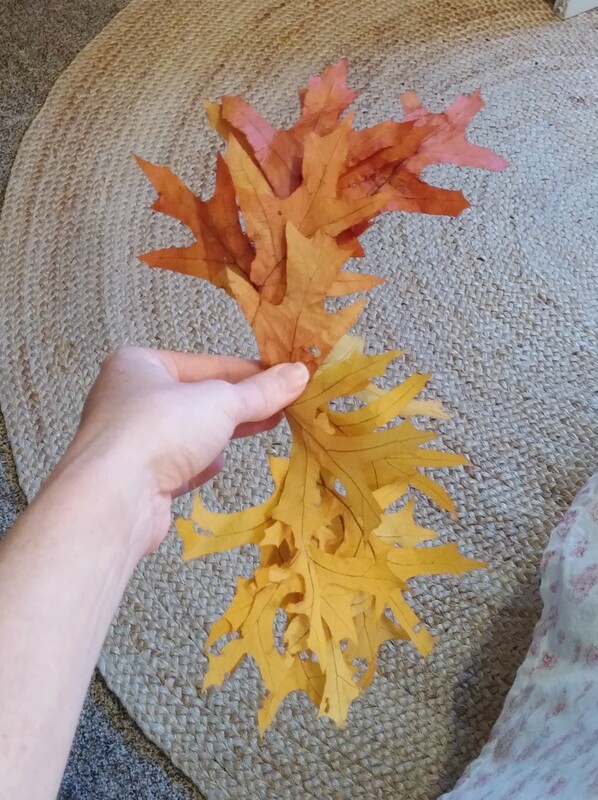 I had some preserved fall leaves that I gathered up in a little bundle and tied with florist's wire in the center. 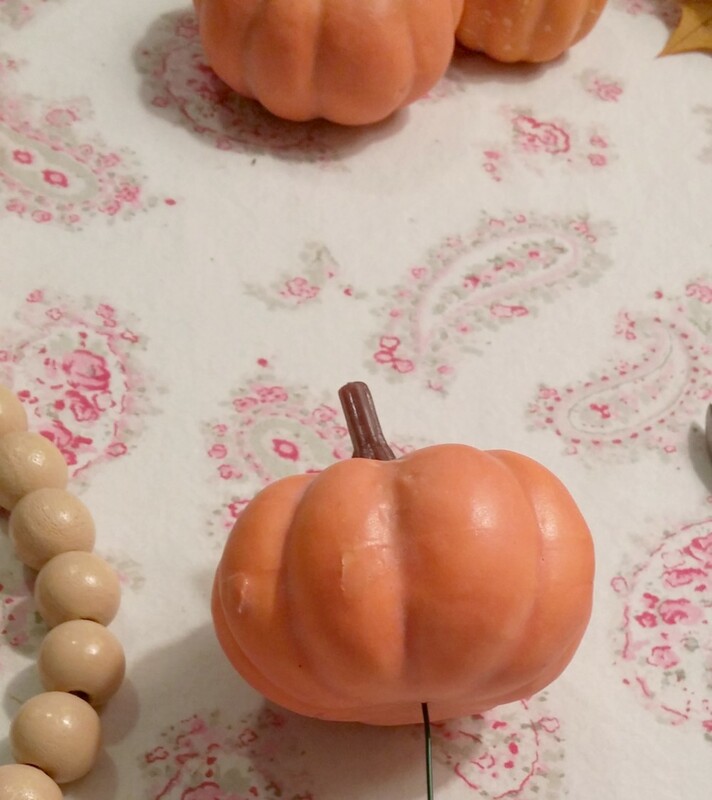 Then I had some cute little faux pumpkins in my stash that I used. 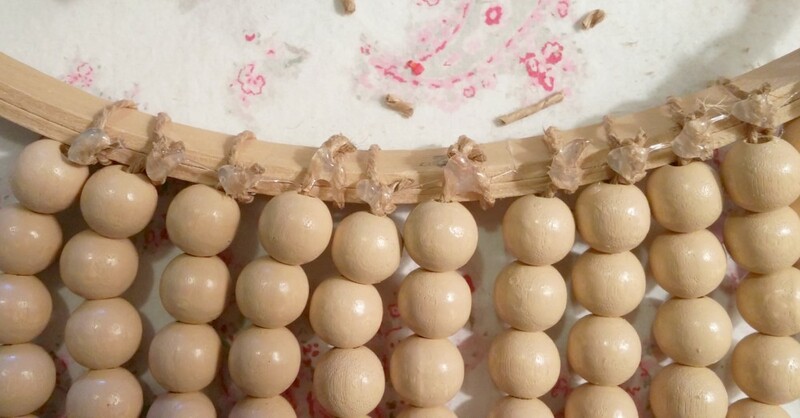 You can glue or wire the embellishments on. 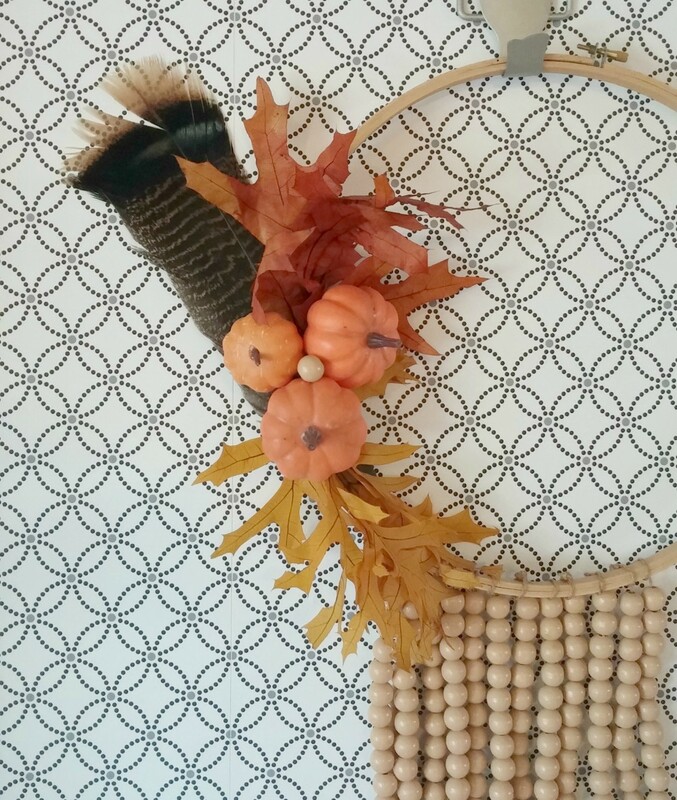 I chose to use wire with just a little dab of glue here and there because I want to be able to switch out the pumpkins for something else later on. 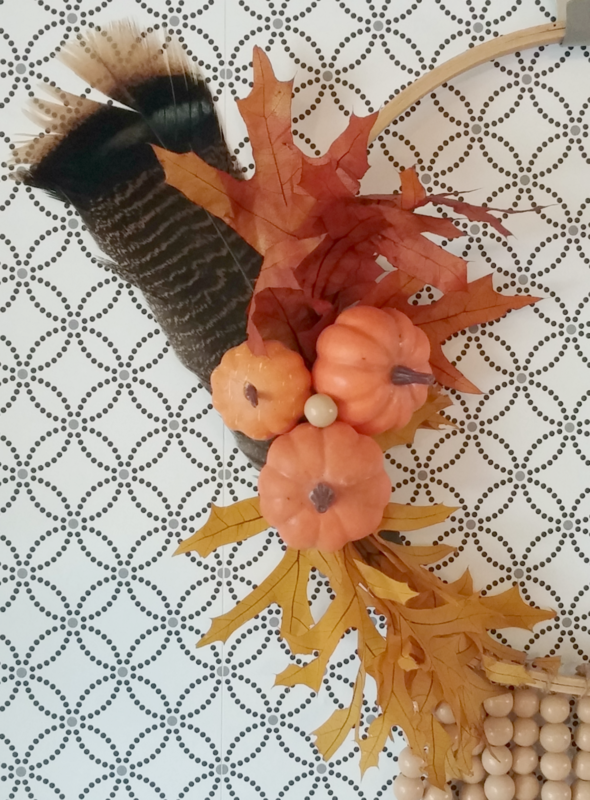 I also added a turkey feather and a leftover bead to cover the gap between the pumpkins. That's it! 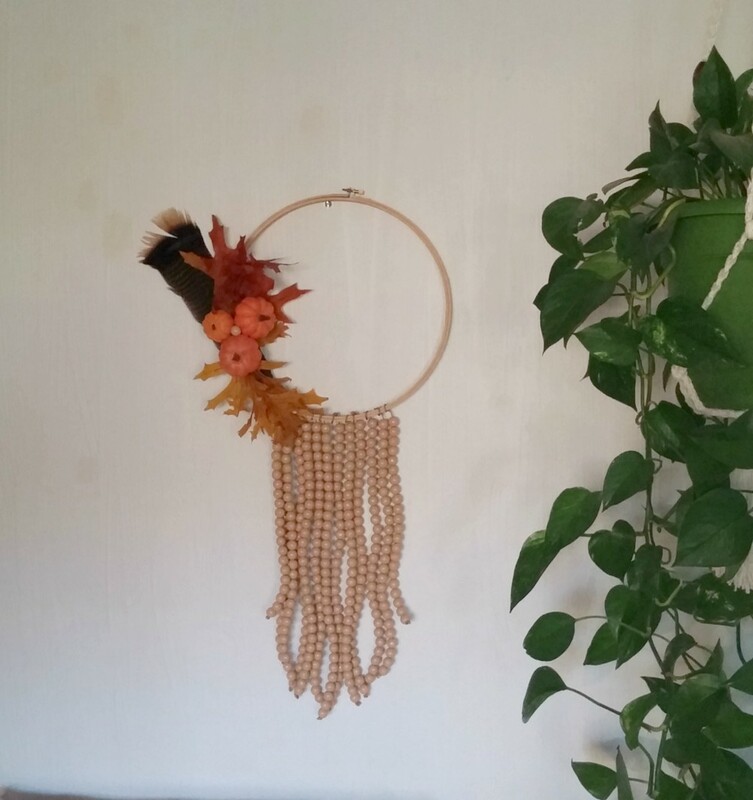 Hang up your new creation and enjoy!! I really love the look of the natural wood on the embroidery hoop and the beads but you could paint the wreath and use colored beads too. I think this would be super cute in a smaller size too! 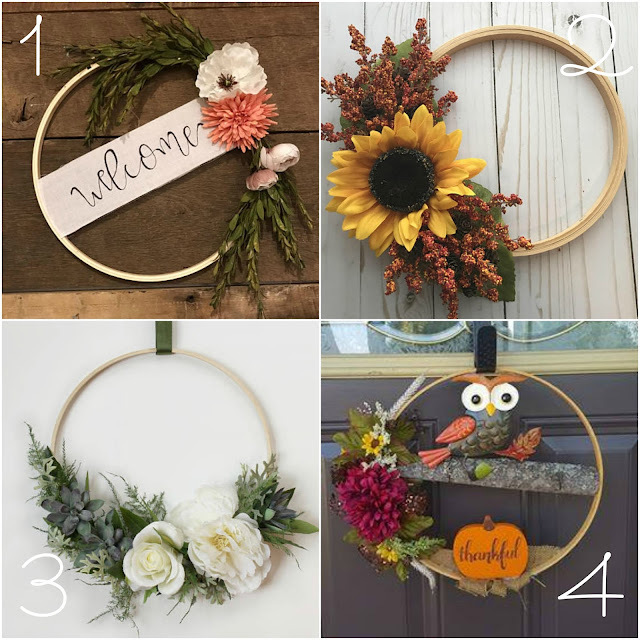 Here are some really cute embroidery hoop wreaths I found on Etsy! Love the natural look of this! Thanks florence and thanks for pinning too! Very cute! Love the boho twist. Visiting from Dagmar's House link party. 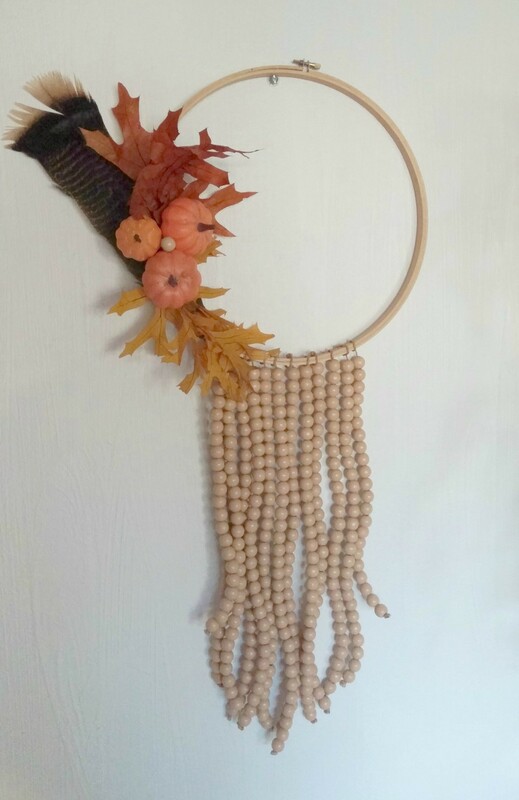 So simple and yet full of that boho charm with feathers and beads! Perfect! I love Dagmar's party, thanks so much for visiting!